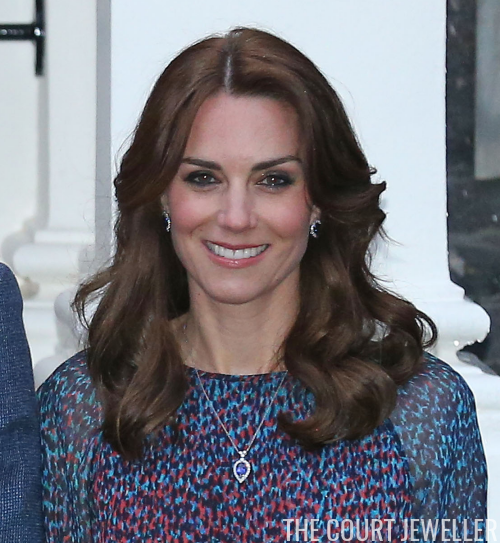 The Duchess of Cambridge's jewelry box is full of eye-catching suites, but one of the most glittering and vibrant sets is her diamond and tanzanite necklace and coordinating earrings. 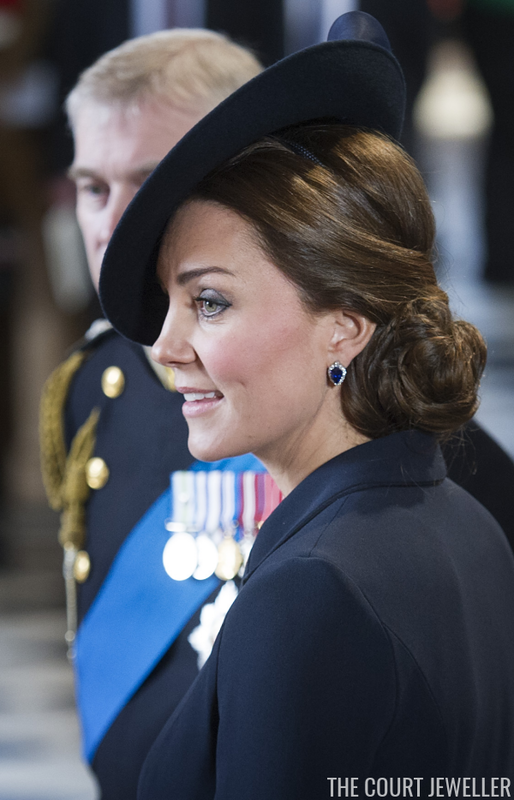 Kate debuted the set, which is made of platinum, at a service of commemoration at St. Paul's Cathedral in 2015. The event honored British troops who served in Afghanistan. Above, you can see a detailed close-up of both the necklace and earrings. 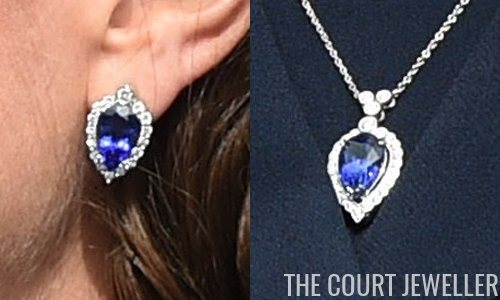 The earrings can be worn either as studs, as Kate does, or as pear-shaped dangles. Each electric-blue, pear-shaped tanzanite weighs more than six carats. The necklace and earrings were made by G. Collins and Sons, a British firm based in Tunbridge Wells. The company's owner, Harry Collins, is the current crown jeweller. In April, Kate wore the set in public for a second time when she, William, and Harry welcomed President and Mrs. Obama to Kensington Palace for dinner.